The Nicaraguan Student Association (NISA) of Florida International University is a non-profit, humanitarian organization striving towards positive change in Nicaragua. We are composed mainly of students who want to bring awareness to the growing crisis in Nicaragua. There are countless children, seniors and terminally ill people without basic care. We want to help by providing them with clothes, shoes, medicine, books and toys. Your generosity is greatly appreciated. DONATE TODAY! 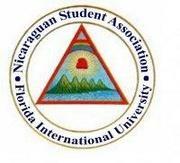 We, the Nicaraguan Student Association (NiSA) have been recognized by Florida International University's Student Organizations Council as the Outstanding Cultural/Social Club of 2008. We would like to dedicate this prestigious award to all of our members....thank you for your dedication and support!! NiSA's new charity project is helping an all gilrs orphanage (Casa Misión Santa Faz) and renovating a community park in Juigalpa-Chontales, Nicaragua. We have started our fundraising charity campaign "Gift of Hope" by selling $1 wristbands, all proceeds will go to the charity. Our main goal is to be able to purchase school supplies, clothing, food grains, and etc. for the boys/girls at the orphanages. A trip to Nicaragua is projected to take place next summer of 2009, where NiSA will be able to renovate the community park as well as spend time with the children and make a difference in their lives. Please, join us in our humanitarian project/journey. Become active, be involved, and help bring the "Gift of Hope" to these children. Thank you! Any questions, comments, or concerns feel free to Contact Us. Hey guys this year we are assisting an orphanage (Casa Misión Santa Faz) in Juigalpa Chontales and it is an all girls orphanage. This orphanage is comprised of girls age ranges from 4-12 yrs. old, they are in need of basic necessities to continue and sustain life. If you want more info or you would like to participate contact us and one of our officers, actually the president or VP, will answer shortly with more information. The link below is NiSA's latest fundraising project. Everyone is welcom to join us by clicking on the link, you'll help raise money/funds towards our charity. 1) Fill out demographics (wait for a 24hr. process where the company will e-mail you link(s) to suvery(s). 2) Prior quick and simple questions to survey must be answered in order to qualify onto a specific survey. 3) 2 simple steps and you're on your way of making a difference!! NISA is proud to host Miami's Got Talent. If you sing, play a musical instrument, have a band, or have any other talent, then you should enroll today! Grand prize will be $300! If you wish to be part of the audience, tickets are being sold. Come along and enjoy the event! There will be LIVE performances, music, food, beverages and much more. Just by attending our event you're helping the cause....and we thank you!!! Applications for contestants are due on Saturday, May 30 2009. NiSA takes pride in helping less fortunate children in different areas in Nicaragua with their education. Every Spring semester we collaborate with Service for Peace, another FIU organization, and do a School Supplies Drive where we collect pens, pencils, crayons, notebooks, folders, rulers, tape, scissors, and many other school supplies. Be part of this event by helping a young one continue their education in Nicaragua. The main reason children stop going to school is because of no money for supplies or snacks. We wait for your support Spring Semester in 2009! The celebration of Nicaraguan's Heritage was held on September 15, 2007 in the GC Ballrooms of Florida International University. This year, the proceeds will benefit Club de Ancianos, Ciegos & Invalidos de Santa Lucia in Esteli, Nicaragua. There were traditional dance performances, authentic Nicaraguan cuisine, live music, special guest appearances, raffles and giveaways. NISA in collaboration with Service for Peace collected school supplies for children in Nicaragua. This was an opportunity for NISA to provide supplies for the less fortunate while involving the FIU community. Many students participated by dropping off donations at the Graham Center. During Fall 2006, the Nicaraguan Student Association influenced the lives of less fortunate children in Granada, Nicaragua, by organizing a toy drive held at Florida International University. NISA in collaboration with other organizations at FIU collected over 300 toys benefiting the "December of Dreams" project.